This article is for Samsung GT-C3312 Network Problem solution. If your phone’s is having no network signal problem consult the diagram below. 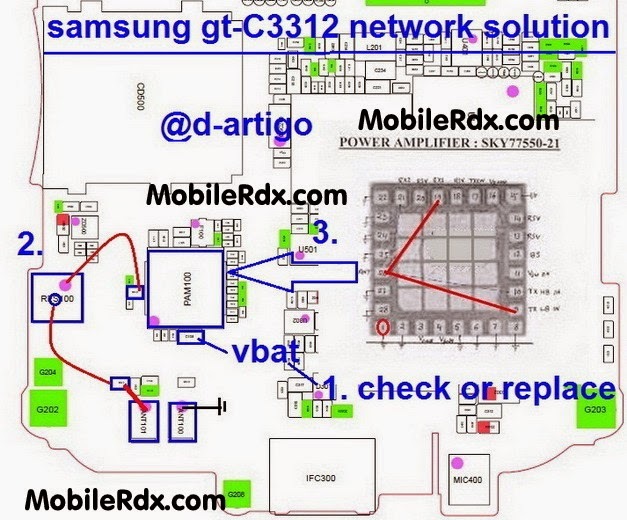 I have marked all Samsung C3312 Antenna Connector Ways jumpers points in this diagram. If you are sure that antenna connection is not interrupted or jumpers don’t work repair the components I have marked in this diagram.